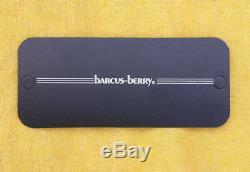 New Old Stock, never used in original packaging. This was used to make up some prototype Sho-Bud and/or Gretsch guitars in the early 1980's but never made it to manufacture. It's leftover, unused stock. It has its signature plate (to attach to the top, see pix) with the mounting holes never having been punched out. It's listed a "Mint Used" but, this is totally NOS! Is extra and will have to be determined. 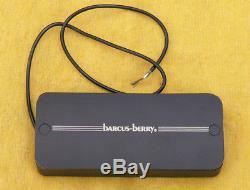 The item "70's/80's Barcus-Berry Pickup Pedal Steel Guitar 12K Sho-Bud OEM NOS" is in sale since Thursday, January 17, 2019. 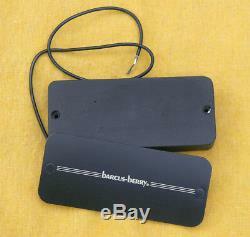 This item is in the category "Musical Instruments & Gear\Pro Audio Equipment\Parts & Accessories". 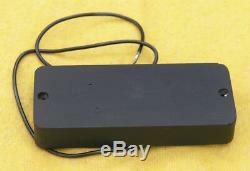 The seller is "mrdownchile" and is located in Nevada City, California. This item can be shipped to United States, Canada, United Kingdom, Denmark, Romania, Slovakia, Bulgaria, Czech republic, Finland, Hungary, Latvia, Lithuania, Malta, Estonia, Australia, Greece, Portugal, Cyprus, Slovenia, Sweden, Indonesia, Taiwan, Thailand, Belgium, France, Hong Kong, Ireland, Netherlands, Poland, Spain, Italy, Germany, Austria, Bahamas, Israel, Mexico, New Zealand, Philippines, Singapore, Switzerland, Norway, Saudi arabia, Ukraine, United arab emirates, Qatar, Kuwait, Bahrain, Croatia, Malaysia.